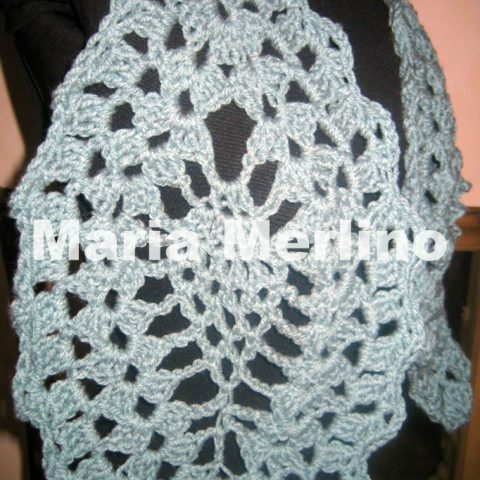 Click Patterns to order Maria's original crochet designs. 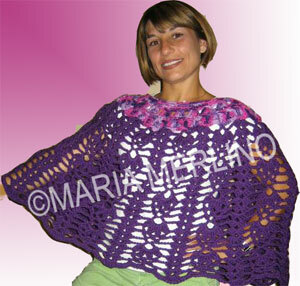 My name is Maria Merlino and I'm so excited to tell you about all the beautiful and original patterns you'll find here. Most are made in one piece, with no joining or sewing! You'll be amazed as you crochet these gorgeous patterns. 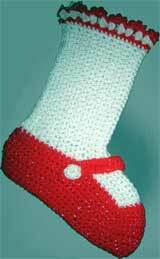 They're a delight to make — and to wear. Here are some of my Signature Patterns. Click Patterns to see more. 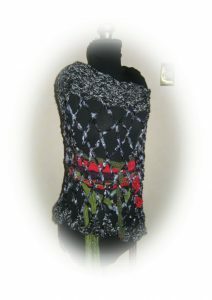 You've probably seen my patterns in books and magazines from The Needlework Shop, American School of Needlework, Annie’s Attic, and Quick and Easy Crochet. 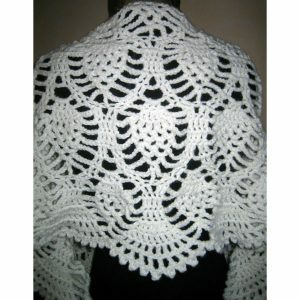 Or you may have seen my appearances as a professional, published crochet designer on local TV shows and in newspapers. 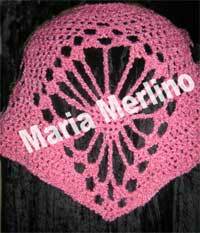 Four of my patterns are in the Crochet-A-Day Calendar Book. 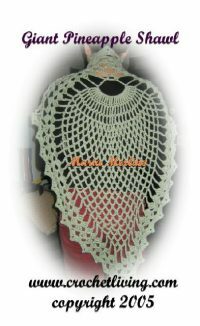 It's now my pleasure to present to you the most mouth-watering, must-have, eye-popping patterns ever to drop off my crochet hook. Do you crave the fancy, lacey wraps that are all the rage? 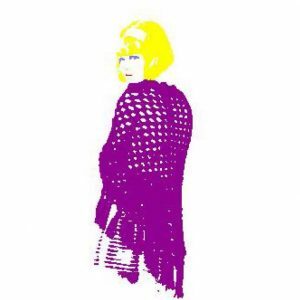 I've had complete strangers offer to buy some of my luscious Pineapple Shawls and Shrugs right off my back. No fooling! Are you like me when it comes to hoarding plastic Bags and Plastic Containers? 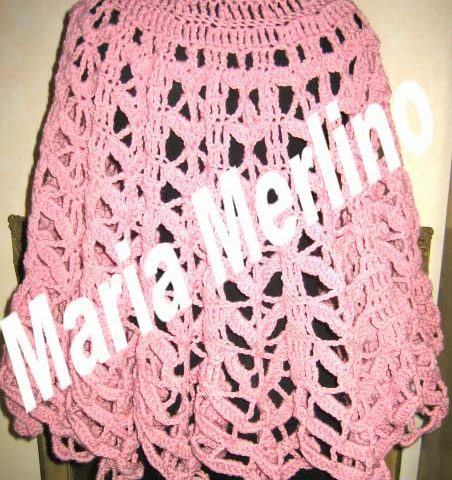 Well, I’ve come up with some of the most clever crochet patterns you can use to transform your recyclable trash to cash. Do you like to celebrate Christmas, Hanukkah or Kwanzaa? My Holiday patterns will add charm to your home as well as squeals of delight from the lucky recipients. And speaking of squeals of delight, my Dolls, Toys, Games and Puppet crochet patterns will enchant everyone from your baby to your grandparents. You can never have too much yarn, right? But what can you make with all those scraps you’ve been saving for years? With my Fast & Fun crochet patterns, you’ll be able to try out new stitches and useful projects lickety-split! For those of you who like to collect the old-time patterns, you must check out my Vintage Collection. From my personal needlework library, I compiled my all-time favorites — just for you. There's so much more I want to tell you, but I think you’ll see for yourself when you look through all I have to offer you. 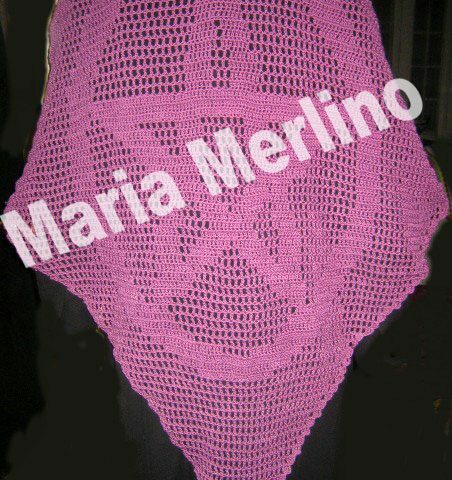 © Maria Merlino's CROCHET LIVING. All rights reserved.